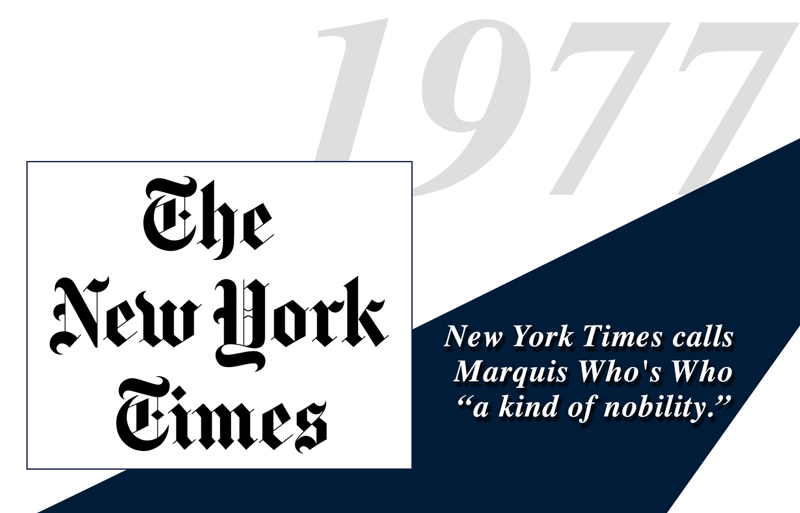 The article goes on to list many of the titles Marquis publishes, which range from Who Was Who in America, to Who’s Who of American Women, Who’s Who in Finance and Industry, Who’s Who in Religion, and Who’s Who in the World. A new title, debuting in October, Who’s Who in American Law, is also mentioned. Lastly, the article describes the early compilation of the 40th anniversary edition of Who’s Who in America, which will publish in 1978.